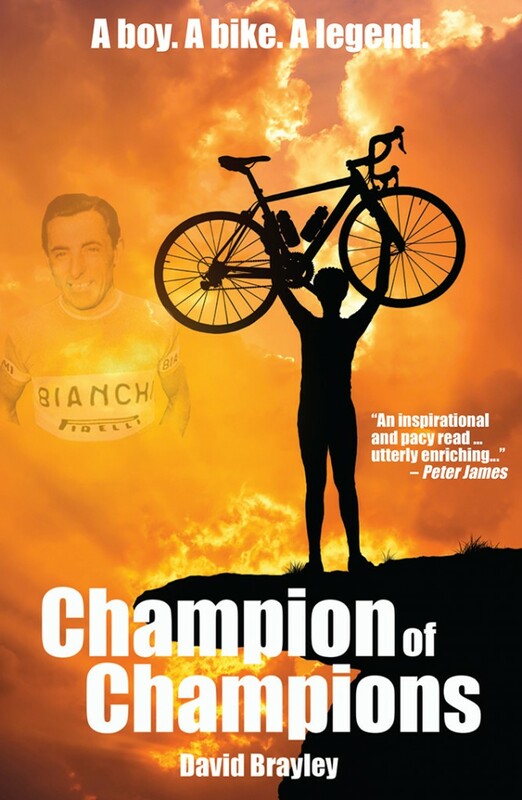 The eccentric stranger who tells him so also introduces Daniel to the legendary Italian racer, Fausto Coppi, and inspires the teenage boy with stories of Coppi’s excellence, bravery, success and ultimate heartbreak. But the eerie man with detailed knowledge hides a dark secret. Once before he tried to inspire a teenage cyclist and the horror of that episode is slowly revealed to Daniel. In a story that threatens to tear a family apart, can Daniel navigate his past and call on the reasons that led to him becoming a professional cyclist in the first place? If so, he may just be able to deliver a performance in the brutal Milan-San Remo race and save not only his cycling career but everything his life has meant so far. Will the memories be too painful? Or will they lead on to ultimate glory? 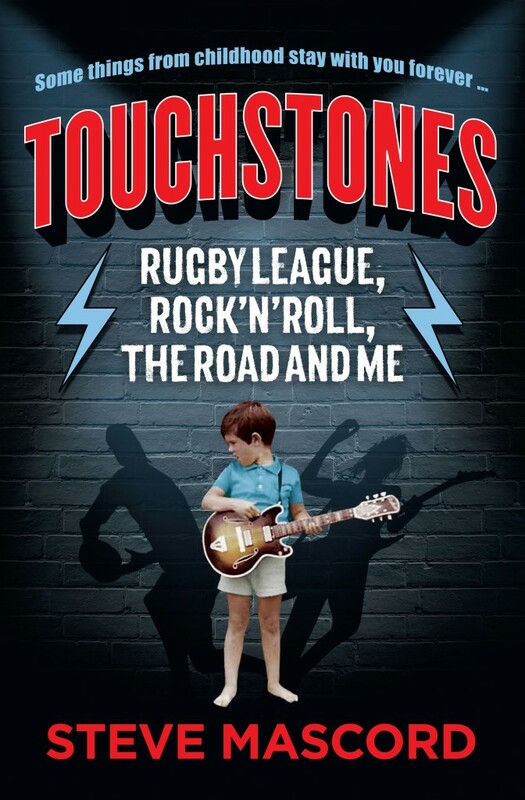 Steve Mascord – born Andrew John Langley – was obsessed with rugby league and rock’n’roll. Long after almost everyone he knew, he clung to these things like twin teddybears, turning at least one of them into a career and making a bit of money out of the other. At the age of 47 he owned precisely nothing aside from hundreds of records and CDs and almost every edition of Rugby League Week ever printed. He was unmarried, had no car or property and was the proud owner of $50,000 of credit card debt. Then one day he discovered the truth about himself. He always knew he was adopted but it turned out he was part of a bohemian family, his mother forced to give him up after suffering a mental breakdown. She searched for him until her dying day. Steve met uncles and cousins and aunties he never knew existed and for the first time in his life he felt whole. And he looked around that storage room full of CDs and football magazines and felt sad; a sense of loss. He appeared in newspapers and on radio and television and people thought he was successful but had he really created a life for himself? Or was he living in a childhood fantasy, compensating for what had been missing, ready to fall down on top of him as traditional media imploded? Steve thought ‘enough of being Steve Mascord, who is not a real person. Time to finally be Andrew John Langley’. Having figuratively thrown all his toys out of the cot, he decided to conduct an audit. Which ones to pick up off the floor and keep in his new life, and which to leave laying there forever. 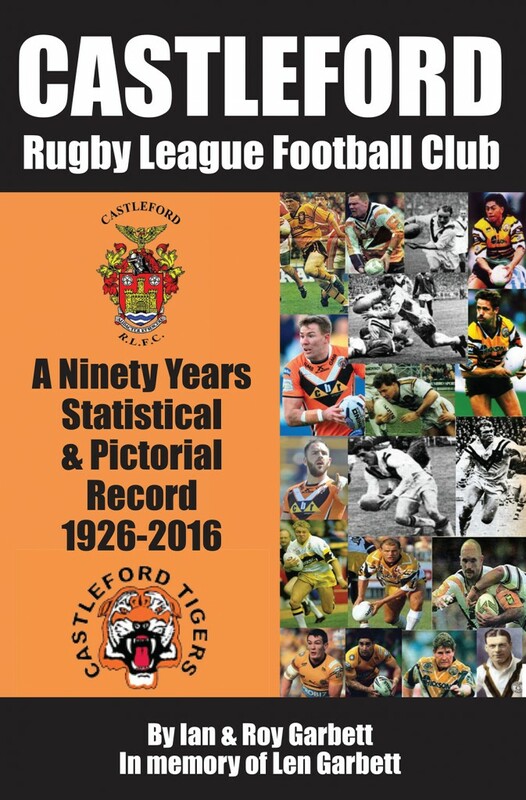 This exhaustive statistical compendium of one of British rugby league’s most popular clubs is a must for every Castleford Tigers supporter and anyone with an interest in the history of rugby. Providing a record of teams, scorers and results in every single match played since the birth of the club in 1925-26 and over the subsequent ninety years, it is an unmissable treat for any sporting bookshelf. There are player statistics too for every season, including total career records and over five hundred photographs. Hull, 1980. The fishing industry is in terminal decline, the Humber Bridge still unfinished. A depraved killer is on the loose and Hull City FC look doomed to relegation. But, on a long Bank Holiday weekend in May, all thoughts turn to Wembley … chance for ultimate bragging rights. 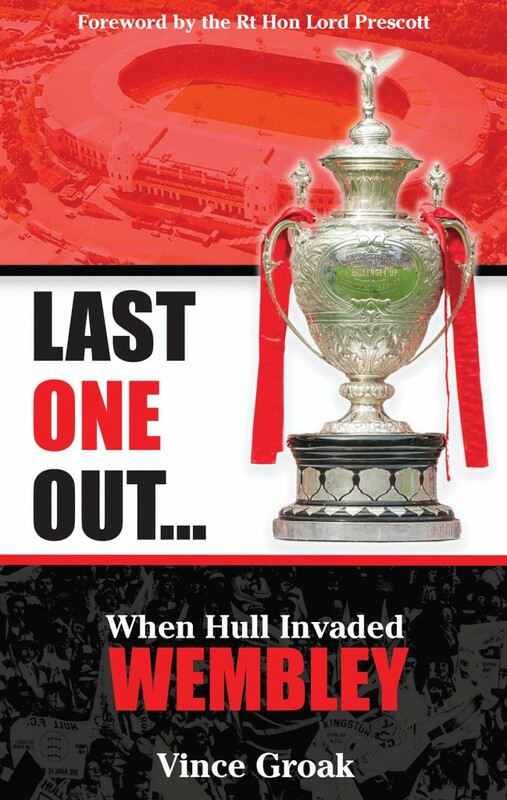 Against a backdrop of a dramatically changing city, Last One Out… traces the story of how Hull’s two rugby league teams emerged from mid-seventies gloom to take their place at the very top of the game – exerting a dominance over the sport that others would follow. Featuring first-hand interviews with players, officials and supporters, this is the definitive history of the ultimate rugby league derby; the early rounds and the draw that kept them apart, the clamour for tickets, the divided families and that famous sign on the road heading south. It tells of Roger’s joy, Sammy’s despair and the story behind ‘that try’. Later, there was the pride and emotion of the homecoming. Later still, the game entered history, spelling joy for one side, despair for the other and encapsulated in a song the losers were taunted with until another dramatic Wembley victory more than three decades on. More than just a derby, more than just a cup final, this is the story of an exodus: the day Hull invaded Wembley. The 2016 Kingstone Press Championship was a season unlike any other. Thrills and spills all the way were crowned with a first promotion to Super League in British rugby league’s much heralded New Era. 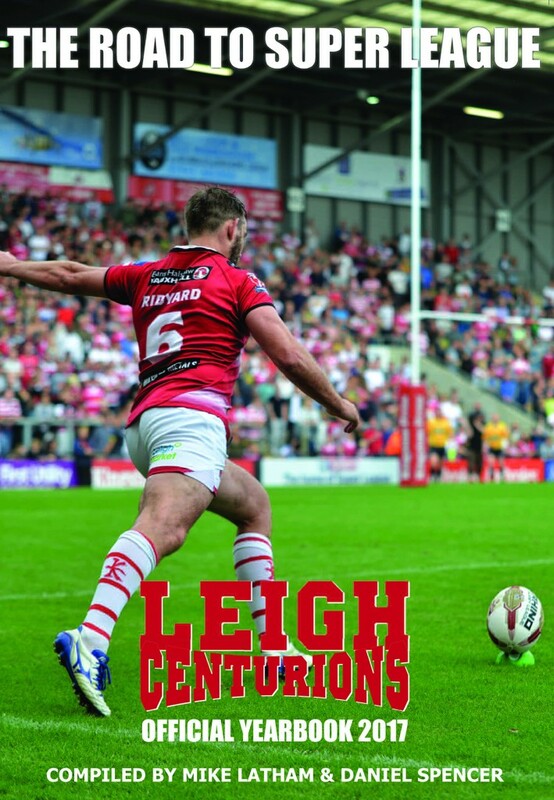 And the club that made that leap was Leigh Centurions, packed full of great players, backed by charismatic owner Derek Beaumont and roared on by a vocal crowd whether on the road or at a bouncing Leigh Sports Village. In The Road to Super League, Mike Latham and Daniel Spencer take a look back at an action-packed year, with all the memories and statistics any fan could hope for. It’s a perfect feast to celebrate the Centurions’ return to the top flight in 2017 and a yearbook that no Leigh supporter will want to miss.